Villa 3452 is a beautiful five bedroom luxury villa located on 1,750sqm in the scenic south-west area of Berawa, Canggu. 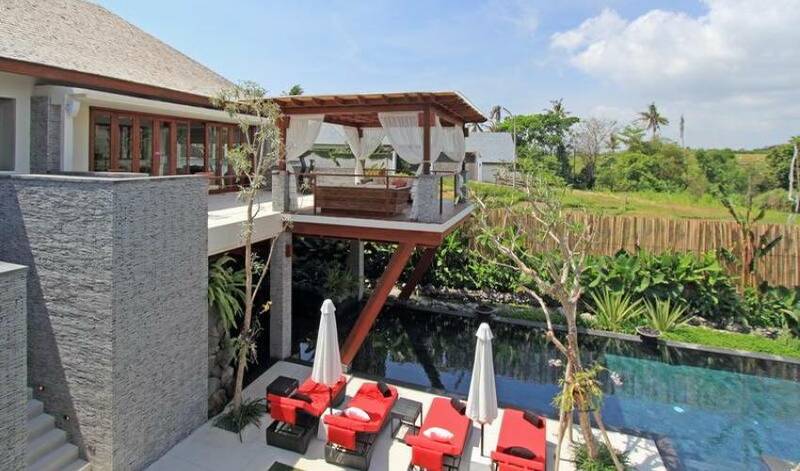 This secluded villa was created by a family who has been coming to Bali for many years. The villa embraces all they love about being on the island of the Gods. 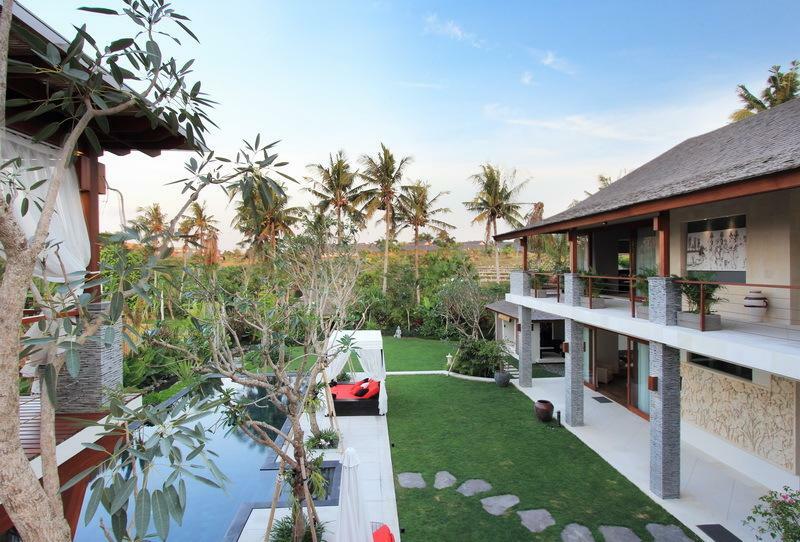 It is located 45 minutes from the airport and only 15 minutes from the chic shopping and dining district of Seminyak. 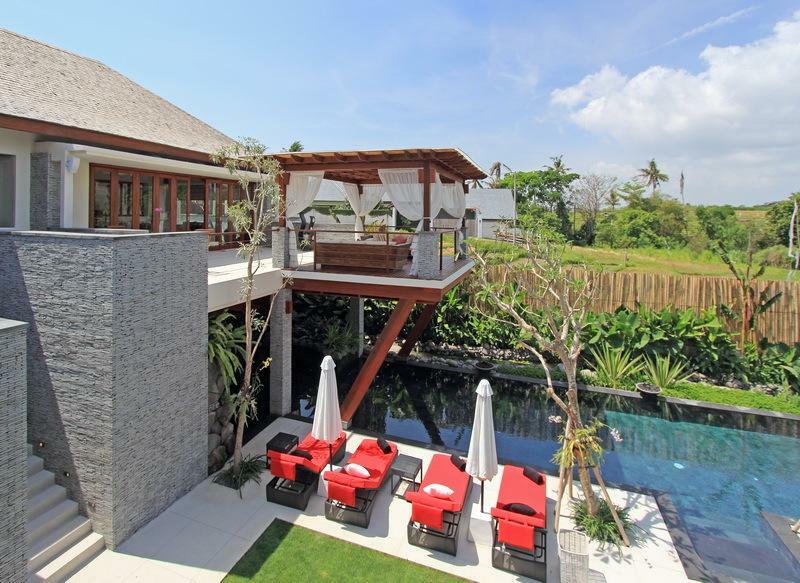 The villa’s design combines contemporary Balinese architecture with clean modern lines, numerous indoor and outdoor spaces that allow groups to gather but also allow guests to enjoy privacy. 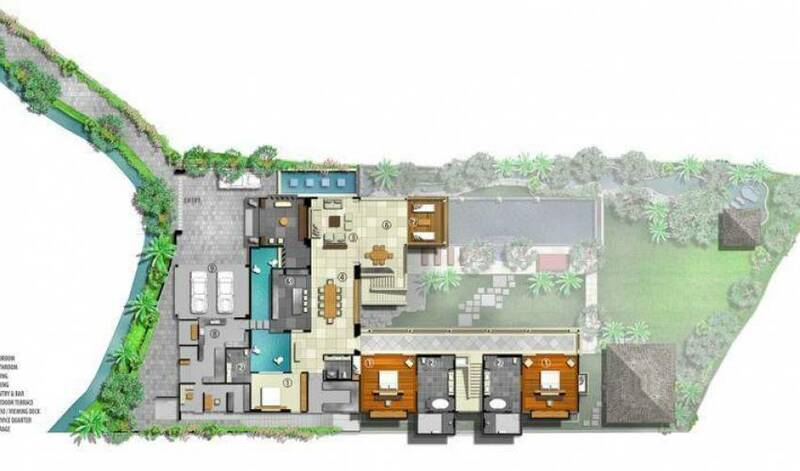 The villa features a spacious living area with comfortable sofas, a dining area that can seat up to 12 people and two kitchens. The kitchens are fully equipped including wine fridges and premium coffee machine. In addition cooking classes can be arranged upon request. 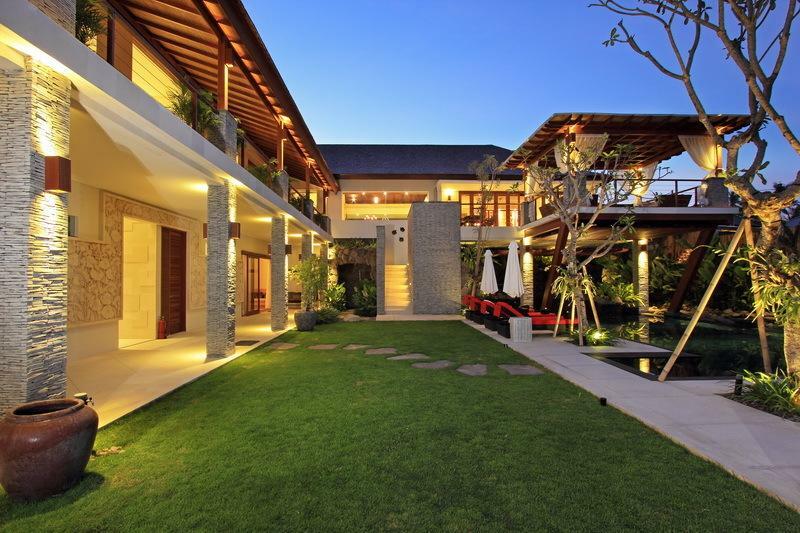 Located off the living room is a hanging terrace which is perfect for relaxation or outdoor dining. Enjoy the sights of rice fields and sounds of nature, butterflies and birds. 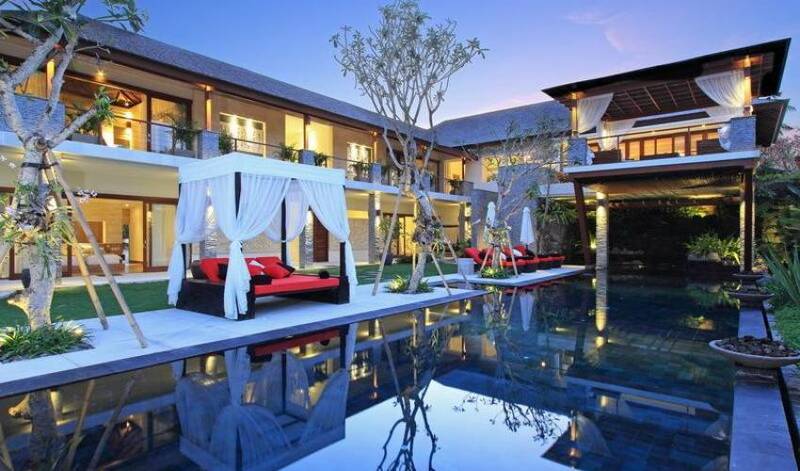 Additional facilities include – safe deposit boxes, fiber optic wireless internet access, telephone and complimentary guest access to the Canggu Club. Guests can enjoy all the club facilities including various sports facilities and F&B options. 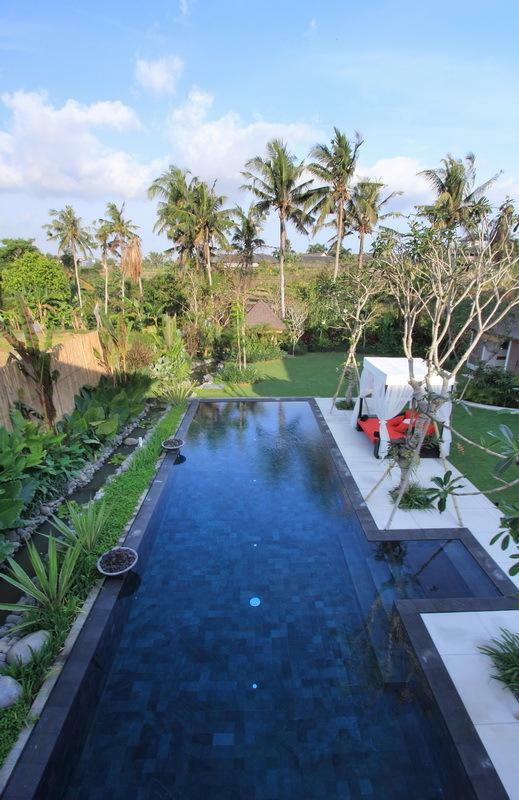 A fun bale is situated at the bottom of the property and features a pool table and bar area. The massage bale has an outdoor river stone bathtub. 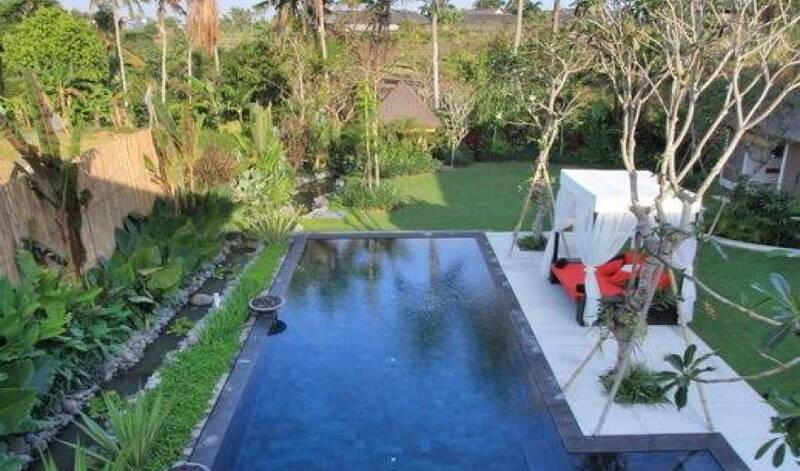 In-villa spa or yoga can be arranged (on request). 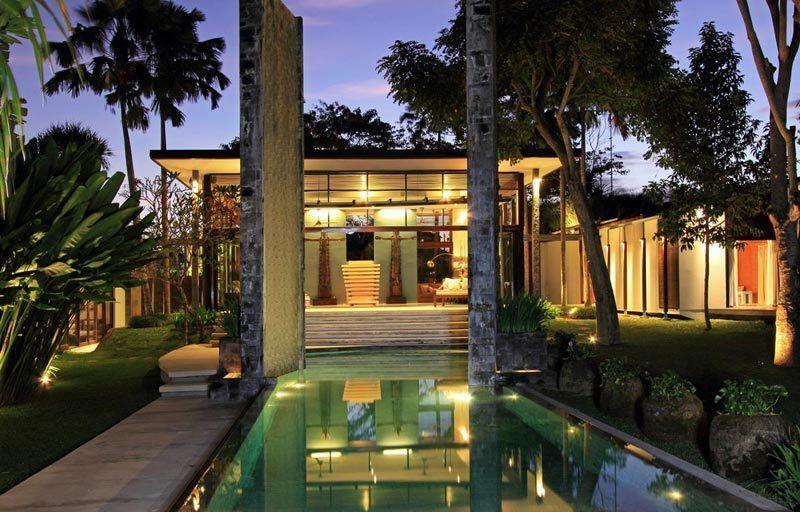 The 20m x 5m swimming pool and built in Jacuzzi is surrounded by tropical landscaped gardens which overlook lush emerald rice fields. 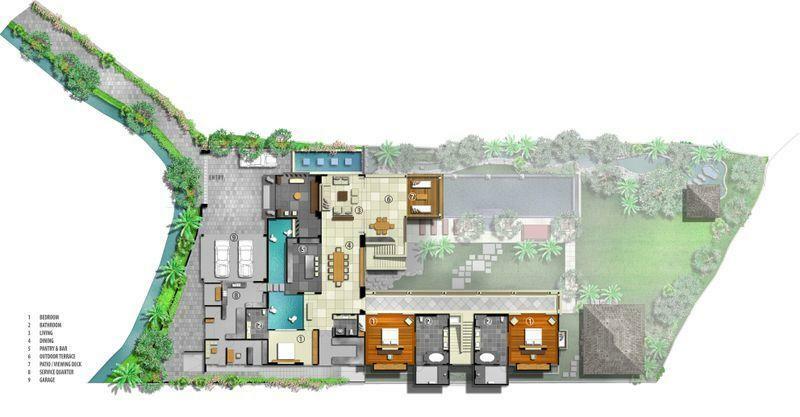 The gardens are a talking point at this villa otted with frangipani, yellow palms, jasmine, yuccas, hibiscus and orchids. There is also a waterfall which forms into a river with lotus flowers gently flowing through the garden. 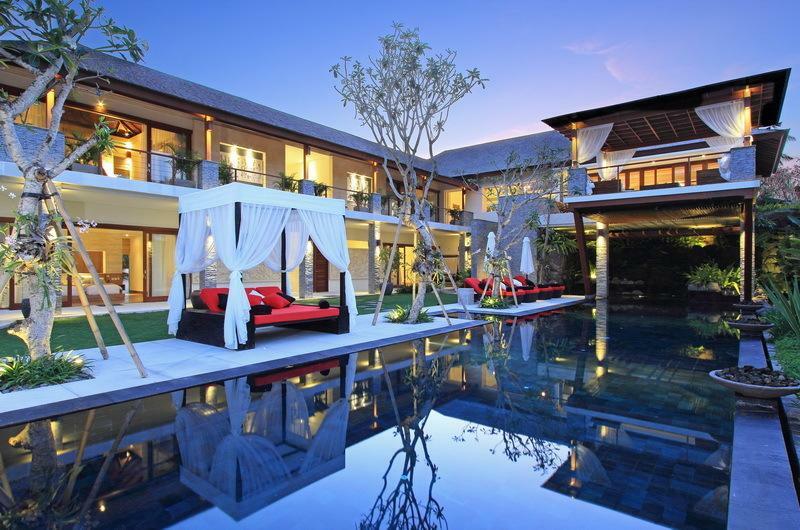 There are eight dedicated and discreet staff in this villa including a villa manager, chef, villa attendants, gardeners and evening/night security. The staff looks after you during your stay and tends to any special requests. The chef can prepare both Western, Asian and Balinese meals where all ingredients are purchased fresh daily from the local markets. 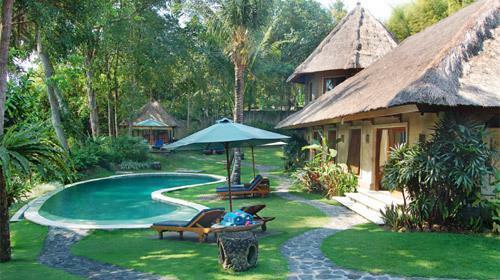 Special events can also be held at this villa including weddings, birthdays or any other special occasions. 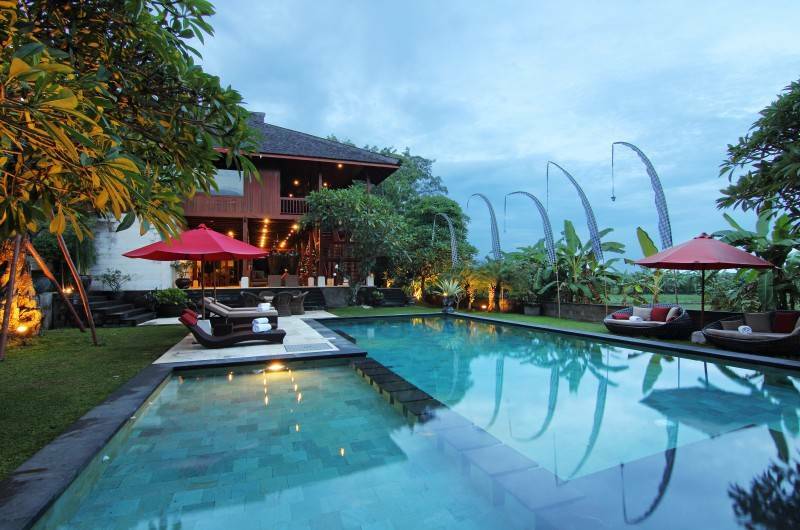 The villa can accommodate up to 50 seated guests and 100 standing. Event fees do apply.